The Staff once again impressed it’s audience with their impressive range of performance skills at the end of last term. We were lucky enough to have band such as JLS and One Direction, soloists such as Ed Sheeran , Christina Perri and Lady Gaga grace the Corsham School Stage. It was a fantastic evening of entertainment enjoyed by all. The proceeds raised of just under £500 went to Dorothy House. Thank you to all the staff involved both on and off stage and to all the students and parents that came to support. The work of 9 Photography and Textiles A level students has been selected to be part of an exhibition at the Corsham Pound Arts Centre. The students are: Emily Long, Felicity Lynden, Audrey Tietz, Amy Greenman, Sam Coombs, Rosie Scott, Sammie Wiltshire, Andrew Stott and Polly Vigus. The exhibition is called ‘Connecting Cultures’ and showcases the work of an award winning photographer and fim-maker, Lou Hamilton. She was very keen to include the students’ work, which supports her work very effectively; highlighting the many different aspects of various cultures and societies. 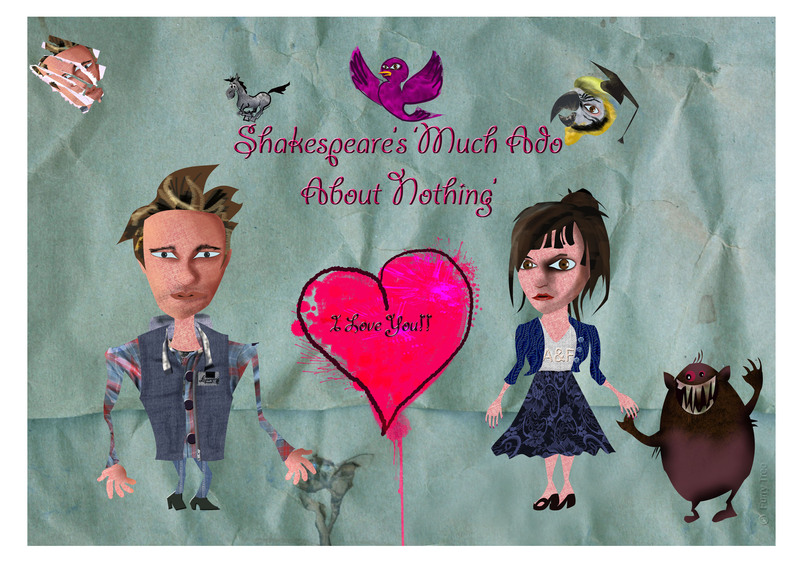 The exhibition runs from 2nd February to 21st April. Well done to all, look out for Vivo prizes in assemblies and lessons! On Tuesday, 31st January, four of our top KS4 mathematicians represented the school at the UKMC team challenge held at Abbeyfield School. The team included Bobbi Lang and Isaac Sellens from year 10, and Amelia Lias and Joe Ross from year 11. They trained hard (in preparation for this event) and the team, plus a number of other KS4 students had put in extra time to attend lunch time sessions to brush up on their understanding of the binomial expansion and its use in solving probability questions. The team made a promising start despite some very taxing countdown puzzles and were strong contenders all the way through. However, they couldn’t quite hold on to a medal position, finishing fourth out of a field of 11 teams. Well done to the team and all other Year 10 and 11 students who attended the lunchtime sessions in support of this event! 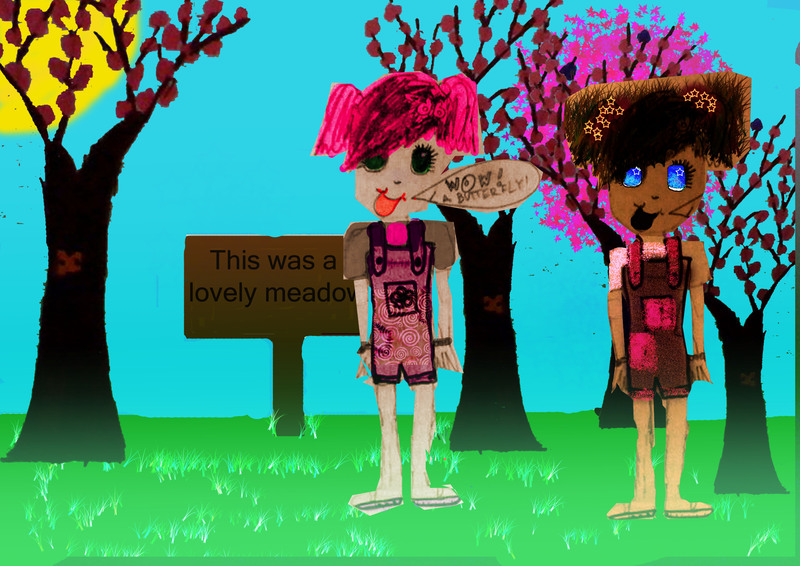 ‘The girls animation club has started really well, and runs parallel with the boys club. The girls are making 2 projects on the theme of pollution and sustainability. The boys are close to completing their interactive animation, ‘Journey through the Weird Forest’. What has knitting got to do with Geography? Good question. Well, at Corsham School a knitting club has recently started. Every Thursday lunchtime, a group of children meet in the Geography Department in R22. Almost as many boys as girls gather for an informal session over their sandwiches. Out in the community Knitting Graffiti, an inoffensive form of guerrilla art, is springing up in unlikely places. Let Mrs Gathercole know if you see any. Vivos wiil be awarded for photos of any sightings. Come and join us; we have plenty of free wool etc. to get you started. More information from Mrs Gathercole. 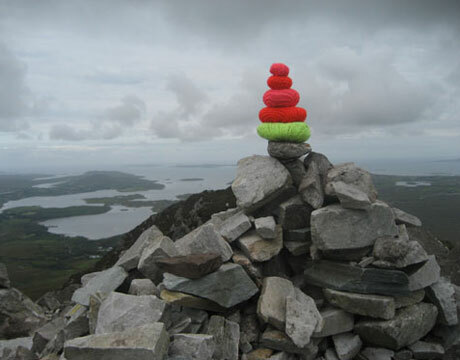 A grey day at Diamond Hill in Ireland’s Connemara National Park is lit up by this whimsical pile of knitted cairns. 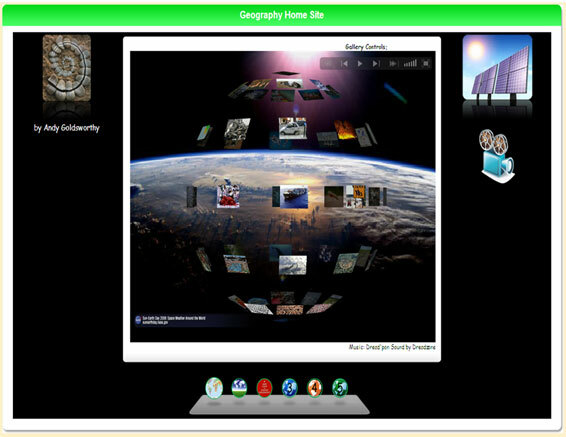 The Geography website has had a makeover, with lots of images from around the world and popular film clips such as ‘Shift Happens’ and ‘Time Bomb.’ Take a look.